In-Built Hitachi StarBoard Software that provide users with toolbar, annotation, and internet searches etc. 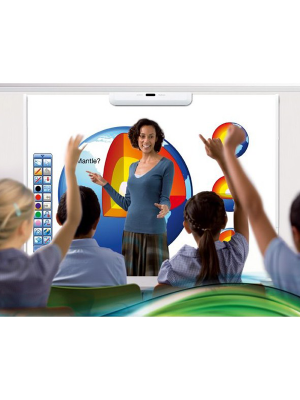 Hitachi StarBoard LINK EZ2-Pen Interactive System is a portable device which has the capability of turning a dry erase board or any flat surface into an interactive whiteboard. This is achievable by simply attaching the StarBoard LINK EZ2-pen magnetically on any flat board. Due to its portable nature, the LINK EZ2-Pen can be moved from one place to another. The LINK EZ2-Pen comes with 2 included reflective electric free pens that can work simultaneously on the 60”-90” interactive projection area. 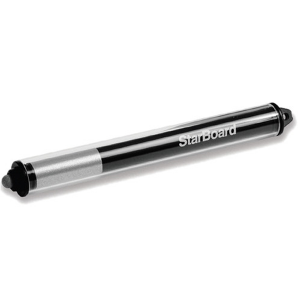 The StarBoard LINK EZ2-pen is compatible with any LCD projector, whiteboard, and PC/MAC computers. 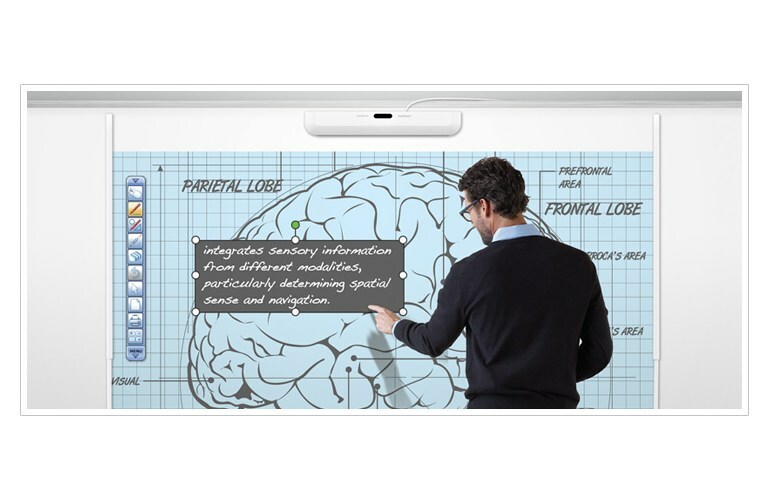 Hitachi StarBoard Link EZ2-Pen Interactive System gives the user the spectacular ability to transform any standard whiteboard as well as any flat surface into a pen-driven Interactive system. This complete interactive system can support multiple users simultaneously as it comes included with 2 reflective electronic-free pens. 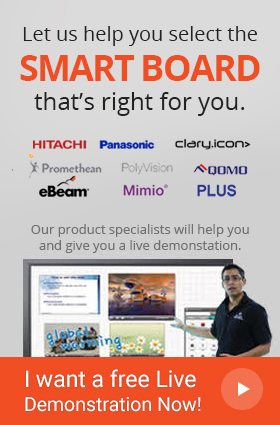 Furthermore, the device is compatible with any LCD projector, Whiteboard, and PC or Mac computers. The built-in Hitachi StarBoard software comes equipped with several features such as a toolbar, annotation, internet access, that mash together to provide the users with an immensely satisfying experience. This software can be used alongside with all operating systems such as Windows, Mac, and Linux for maximum user convenience. Hitachi StarBoard Link EZ2-Pen Interactive System allows the users to fully customize the floating toolbar. 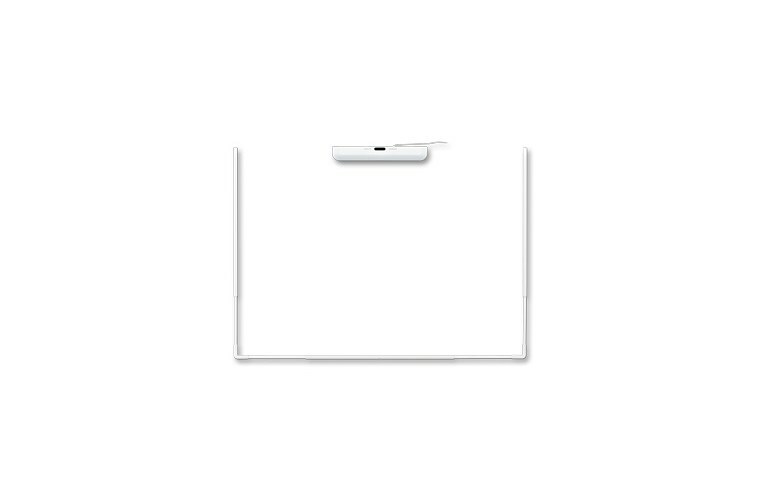 Not only that, the active area comes expandable to an impressive maximum of 90” diagonal! Hitachi StarBoard Link EZ2-Pen Interactive System can be magnetically installed on to the flat surface with no complications. It is a simple procedure which is guaranteed to provide the user with astonishing results. Hitachi StarBoard Link EZ2-Pen Interactive System is designed entirely to be highly transportable. This handy ability to be so portable is one of the device’s best selling features. Q: How does the Starboard LINK EZ2-Pen Interactive System work? Q: How can I set up the Starboard LINK EZ2-Pen Interactive System? Q: Do I need to install any special hardware or software for LINK EZ2-Pen Interactive System? A: No, the Starboard LINK EZ2-Pen Interactive System comes preinstalled with all the necessary drivers and software. It is compatible with all the contemporary operating systems such as Windows, Mac, Linux, etc. Q: How is LINK EZ2-Pen Interactive System powered? A: The Starboard LINK EZ2-Pen Interactive System is powered by a USB. A: Yes, the Starboard LINK EZ2-Pen Interactive System comes with a warranty valid for 3 – year from the date of purchase.